Lactic Acid is a waste product from anaerobic respiration. When the muscles contract, they need energy, which is supplied by glucose and oxygen. The oxygen and the glucose react and provide energy to cells; this is called aerobic respiration. The body can also respire without oxygen, which is called anaerobic respiration. When muscles require more oxygen than the blood can supply them with, more energy is needed, so glucose is broken down without the presence of oxygen. Glucose provides the body with energy, and is obtained from carbohydrates; foods like pasta, rice, potatoes and oats contain carbohydrates. When the body begins anaerobic respiration, it doesn’t completely breakdown glucose, and only 5% of the energy per molecule of glucose is obtained from anaerobic respiration; after this incomplete breakdown of glucose, lactic acid is produced. When blood circulates through the muscles, the lactic acid is oxidised, and it turns into carbon dioxide and water. Lactic acid produces a burning sensation in exercised muscles. It’s the body’s way of telling you to slow down, and prevents further injury. 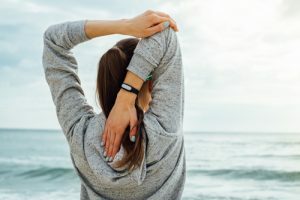 Due to the lack of energy anaerobic respiration provides compared to aerobic respiration, cramps are often experienced, as is fatigue, especially during a period of lactic acid build up. Lactic acid usually vacates the body 20-30 minutes after training. Lactic acid is not what causes delayed onset muscle soreness (DOMS) in the following days after training. DOMS is caused by torn and damaged muscle tissues repairing themselves. Lactic acid will usually evacuate the body 30 minutes after exercise. By resting, stretching, and massaging sore muscles, recovery is very obtainable. By looking at how you work out, you can figure out why your lactic acid levels are the way they are, and you can prepare for it. • Low weight training – Lifting lower weights, with more reps and sets. • Long distance running – Running which requires stamina, as opposed to speed. • Low intensity swimming – Slow swimming, at a comfortable pace with plenty of breathing. • Heavy weight training – Heavy weights, with low amounts of reps and sets. • Short distance sprinting – Running which requires speed, not stamina. • Uphill cycling – The added resistance of cycling uphill requires more oxygen than ordinary cycling. • High intensity swimming – Swimming a short distance, very quickly. • Staying hydrated – Lactic acid is water soluble (when it is oxidised, it turns into carbon dioxide and water), so by staying efficiently hydrated, and drinking sufficient amounts of water throughout your workout will aid in keeping low lactic acid levels. • Mix one O.R.S. Hydration tablet with 500ml of water to supply your body with the hydration it needs to maintain energy. Dehydration can lead to a lack of concentration, strength and stamina. 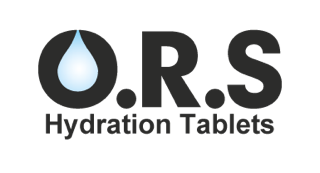 Click here for suggestions on using O.R.S Hydration Tablets, in relation to the sport you are performing in. • Deep breathing helps athletes immensely. Breathing, as we all know, takes in oxygen, which is needed to turn lactic acid into carbon dioxide and water. • Regularly exercising will in time increase your tolerance levels to lactic acid. • Listen to your body; if something hurts, stop it. It shows you have pushed your body as far as it should comfortably go, and carrying on will only increase risk of injury. • Magnesium can help effectively use fuel, which doesn’t result in a lactic acid build up. Eat foods that are rich in magnesium, like spinach, kale, avocados, nuts, seeds, beans, fish and whole grains. • Ice baths are used to reduce swelling and lactic acid build up. As you submerge your muscles into the icy depths, the blood vessels tighten, and evacuates the lactic acid from your muscles. An ice pack can provide similar relief, and is more easily manageable.